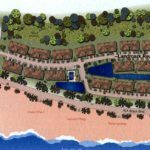 Seaside at Anastasia condos are located in St. Augustine Beach, Florida, about 7 miles north of Crescent Beach. There are a total of 117 individual condominium units. 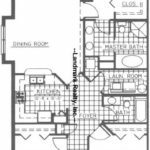 Several floor plans are available. All units are flats (1 level), ranging in size from 1377 – 1464 square feet. If you’re looking for a St. Augustine Beach condo with a third bedroom and/or newer construction, then Seaside at Anastasia might be for you. 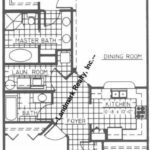 All units have three bedrooms and two baths. Built in 2003, the complex’s construction is much newer than most area condos – the majority of which were built in the 80’s. The condominium’s concrete block construction and automated security gate will help you feel safe. The laundry is located inside each unit. There is plenty of parking, including some garages. At this time, there is an on-site property manager, but rentals are handled at an off-site office. Amenities offered at Seaside at Anastasia Condos include: Heated swimming pool, 24-Hour fitness gym, clubhouse, reserved parking, and free internet access.